Ouch. So, if a prosecutor doesn’t even have enough information to obtain a search warrant, what on earth will the FBI investigate. 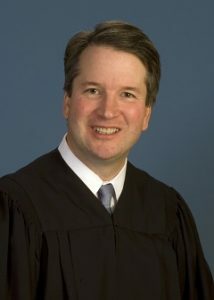 In case you missed it today, Republican Sen. Jeff Flake would only move Kavanaugh’s nomination to the floor if his fellow Republicans on the Judiciary Committee would give the FBI – yes, the same FBI who won’t stop investigating President Trump for, ahem, trumped up charges – seven days to investigate Dr. Ford’s charges against Kavanaugh. This request was literally one of the worst deals ever made in the U.S. Senate. Why? We’re not going to discover anything new from someone who doesn’t know whose house she was at, when it was, how she got there, how she got home and more. There is literally nothing to investigate and, as far as the other accusations, they’re as flimsy as can be. Further, it’s not about getting to the truth. It’s about delaying so Democrats could monkeywrench the process further before it gets to the floor. Sens. Gardner and Bennet should vote to confirm him, but we know Bennet is more interested in partisanship than doing the right thing.